With the threat landscape expanding every second, protecting the “keys to the kingdom” is vital to securing your business and its assets. Unsecured privileged accounts affords cyber criminals access to your highest value assets and data. 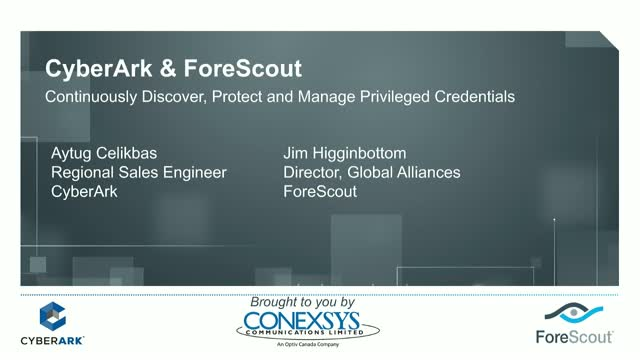 Join your host, Conexsys Communications, to learn how CyberArk and ForeScout address this issue by reducing the attack surface. ForeScout scans the network in real time and automates policy-driven access control based on device security posture and behavior without using an agent. For over a decade CyberArk has led the market in securing enterprises against cyber attacks that take cover behind insider privileges and attack critical enterprise assets.